What can the UK learn from Norway’s eco-friendly car boom? Norway is leading the way globally in the adoption of plug-in vehicles, which accounted for nearly a third of the country’s new car sales in 2017. 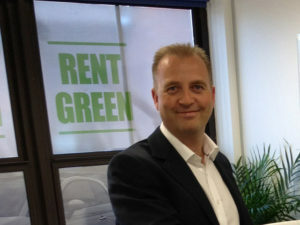 Richard Lowden, founder of international low-emissions car hire company Green Motion (www.greenmotion.com) looks at how the UK Government could take a [green] leaf out of Norway’s book. Norway’s success in promoting the use of green vehicles becomes crystal clear when comparing their sales figures with those of the UK. Last year, 30% of all cars sold were plug-ins, in stark contrast to the UK’s 2% market share. These figures are even more impressive when taken in conjunction with the fact that plug-in car sales are forecast to rise by up to 40% in 2018 alone. It’s clear that the eco-friendly policies that the Norwegian Government has put in place to make this happen are only just gathering pace. In fact, demand for plug-in cars is actually outstripping supply, with Jaguar and Hyundai reporting waiting lists of many months for their new models. So how has this been achieved? Put simply, it all boils down to financial incentives. Regardless of where they live, all electric car users benefit from electricity that is cheaper than petrol and diesel, meaning plug-in car users save an average of £100 per 1000 miles. However, this in itself isn’t enough to convert most consumers, who are put off by the higher initial cost of buying an electric car. In Norway, this problem has been solved by the fact that consumers don’t pay VAT or import tax on plug-in cars, meaning that the upfront cost of buying an electric vehicle is reduced by thousands. Not only that, owners of electric cars are also exempt from the road tolls, emissions charges and ferry fares that drivers of petrol and diesel vehicles are obliged to pay. Add to that extra perks like free parking and permission to avoid traffic jams by using bus lanes, and it’s actually hard to see why any Norwegian would choose a petrol or diesel vehicle. How does this compare to the UK? Here in the UK, owners of ultra-low emissions vehicles (ULEVs) are exempt from fuel duty and the London Congestion Charge and are only charged 5% VAT on the electricity they use to power their car, compared to the 20% paid by petrol and diesel users. Also, if your ULEV is worth less than £40,000, you don’t have to pay Vehicle Excise Duty, which is currently £140 per year for petrol and diesel cars. In Norway in 2017, it was suggested that tax exemptions for the heaviest electric cars should be halted, but this so-called ‘Tesla tax’ was scrapped when it was successfully argued that this would negatively impact the unprecedented rise of Norwegian consumers opting to buy heavier and more expensive electric family cars. With over a decade of experience in the green car rental industry, in my opinion this all-inclusive attitude represents the way the UK should be going. If we want to encourage uptake of electric cars, we should be offering more attractive incentives, particularly when uptake is still so low. What about grants for electric vehicles? In the UK, if you buy a car from an approved list of eligible models, then a government grant of £2500 or £4500 depending on the vehicle’s emissions levels will be automatically applied at the time of purchase. However, while it’s great to get a discount, it’s important to remember that until last year, this reduction was given at a flat rate of £5000, which means that again, the UK is moving backwards, despite its pledge to reduce emissions under the terms of the Climate Change Act 2008. Add to this the fact that plug-in cars are predicted to be more expensive than their traditional counterparts until at least 2022 due to the current high cost of battery manufacture, and it’s easy to see why many UK consumers are still resistant to making the change. Fundamentally, the benefit of fuel savings is of little interest to car buyers who can’t afford the initial upfront cost. The UK has demonstrated its desire to reduce emissions through the Climate Change Act 2008 and by signing up to the Paris Agreement of 2016. However, many people believe that in order to make a significant difference, we need to be doing far more as a nation. Concerns have also been expressed that climate-change-sceptic MPs will try to use Brexit as a reason to back track on our green commitments when we are no longer part of the EU’s drive to reduce emissions. No matter what your opinion of Brexit, our exit from the EU should be seen as a fantastic opportunity to improve on the current situation by emulating the policies of our fellow non-EU country, Norway. The success of Green Motion amongst businesses as well as individual consumers is proof positive that buying in to a lower emissions ethos can still make good business sense, even if the political climate isn’t as favourable as it could be. There are actually many opportunities for a wide range of companies to make good use of low emissions vehicles. Take for example, West Middlesex Hospitals Trust which has cut costs by almost half by replacing the expensive taxis formerly used for therapist home visits with an electric car pool scheme. In companies with a company car scheme, employees receive income tax and national insurance benefits when they set up a salary sacrifice for a ULEV vehicle and business owners can take advantage of tax benefits and enhanced capital allowances (ECAs) by going down the eco-friendly route. As we all know, at some point our supply of fossil fuel is going to run out and eventually we will all be driving electric cars. So, rather than delaying the inevitable, isn’t it better for the UK to take inspiration from Norway’s green taxation policy to implement this much-needed change that must come anyway?